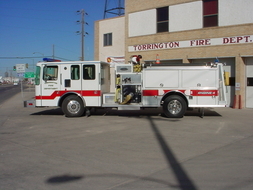 Equipment currently in service for TVFD. This vehicle is first out the door on all calls. It serves as a command point for the Incident Commander who directs the operation of the fire ground. Engine 6 joined TVFD in 2015 . 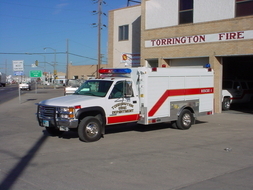 This Pierce pumper serves as primary response for structure calls. Seating six personnel, including four seats with SCBA (Self Contained Breathing Appparatus) units. Engine 6 is state-of-the-art apparatus that will serve TVFD and the community for many years to come! Engine 4 serves as backup for structure calls. Seating six include four SCBA seats. Tried and true since 1994. With 2500 gallons of water on board, room for six firefighters, and twelve air cylinders. Engine 5 brings the water, men, tools, and a Q siren to any call! 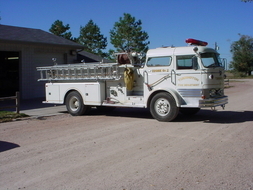 Engine 2 is a 1966 Mack, fully operational and serves as backup for urban settings. 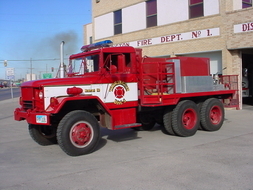 Rural 10 is a Type 1 "6 by 6" meaning it has six wheels on each side. 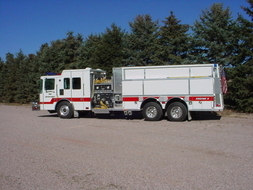 Carrying 1000 gallons of water Rural 10 delivers tanker capabilities to rural fire grounds. 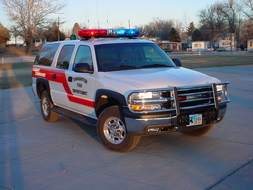 Rural 15 joined TVFD in 2015. This Danko quick attack enables firefighters to attack fast moving, wind driven fires on the open plains. 250 gallons of water and built in foam capabilities ensure this truck will be ready for most any grass fire. Rescue 1 is a utility vehicle providing tools, lighting, hydraulics and much more to any scene.